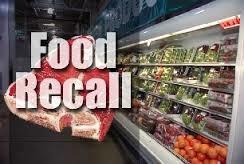 WASHINGTON COURT HOUSE, Ohio (June 25, 2015) – Morris Frozen Food Locker, of Washington Court House, OH announces a voluntary recall of an undetermined amount of pork products processed from July 9, 2014 to June 23, 2015. Consumers should be aware that pork products were misbranded and produced without the benefit of inspection. Labels include the Morris Frozen Food Locker label, a complete or incomplete ingredient statement, and the facility’s establishment number (Est. 146) inside the Ohio mark of inspection. Products subject to this recall were distributed at Morris Frozen Food Locker located in Washington C.H., Ohio. Product produced at the facility during the same time frame that was marked, “NOT FOR SALE” is not affected by this recall. The problem was discovered during routine in-plant verification activities by Ohio Department of Agriculture (ODA) Division of Meat Inspection personnel. Morris Frozen Food Locker urges its customers who have purchased this product not to eat it and to return it to the company. Customers may bring this designated product to Morris Frozen Food Locker at 604 Rose Ave., Washington C.H., Ohio, 43160 or call the facility at (740) 335-6650. ODA and the company have received no reports of adverse reactions due to consumption of these products. Individuals exhibiting signs or symptoms of foodborne illness are encouraged to contact a physician immediately. Consumers with questions about food safety can contact the ODA’s Division of Meat Inspection at 614‐728‐6260.